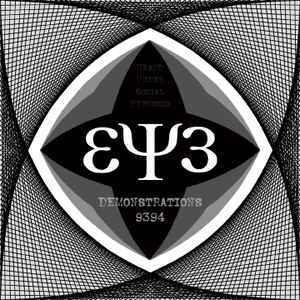 Eye (3) ‎– DEMONSTRATIONS 9394 "Heard Under Social Hypnosis"
These EYE recordings are "demonstrations" / "demos" from 1993-1994. Tracks 1,2,3,6,7 were recorded on analogue 8-track at "Studio C" of Community Radio 2XX. Tracks 4,5,8,9 were recorded on analogue 4 track at "Room 101". This is a 2015 online file version - mp3, flac, wav etc - of the 1994 cassette tape album titled "Herd Under Social Hypnosis". Around 1500 cassettes were produced, distributed and sold via record stores and mail order. A CDr version was available during the '00s via the Blatant Propaganda record label.